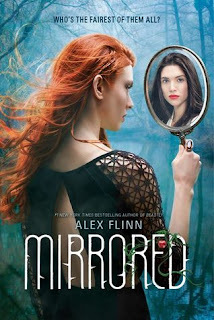 Alex Flinn is probably best known for Beastly - or rather the movie adaptation of Beastly starring Alex Pettifer. I loved both the book and the movie myself, but the book served to put Ms. Flinn solidly on my 'must be read' list. 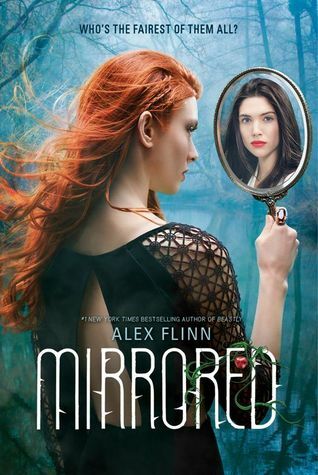 While I haven't 'loved' all of her books, I have enjoyed them and Mirrored was no exception. To be honest I preferred the first half of the book to the second. Seeing how Violet turns from a misunderstood plain nobody into a manipulative bombshell was really fun. Its a perfect illustration of the adage - be careful what you wish for. It's really no wonder she turns into the wicked stepmother- there's a kind of twisted logic to it. Goose was a wonderful, non-stereotypical character in the second half of the book. I loved his character, and his relationship with Celine was unusual. Really though, it's a Snow White retelling, so you're not going to learn anything new. It was a fun version of the tale but with few surprises. I don't think it will earn Ms Flinn legions of new fans, but for existing fans of fairy tale retellings I'm sure it will be a hit. I actually have heard of this! And I need to read it very soon. TBR list piled to the ceiling.